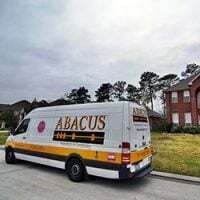 Established in 2003, Abacus now employs 166 men and women with 102 trucks to perform services to more than 44,000 customers. The stalwart company has been awarded the BBB Houston Pinnacle Award of Excellence, Gold Standard Ratings, Angie’s List Super Service Award and has been recognized by Inc. Magazine as one of the top 5,000 fastest growing companies in the country in 2010 and 2011. “Extraordinary People, Extraordinary Results” isn’t just a motto for Abacus, but it’s their lifestyle. The company believes in four core values: Honesty, Integrity, Teamwork and Respect, and they bring all of those values to the customer’s home every day.